OBJ writes GEJ: Before it is Too Late! I am constrained to make this an open letter to you for a number of reasons. One, the current situation and consequent possible outcome dictate that I should, before the door closes on reason and promotion of national interest, alert you to the danger that may be lurking in the corner. Two, none of the four or more letters that I have written to you in the past two years or so has elicited an acknowledgment nor any response. 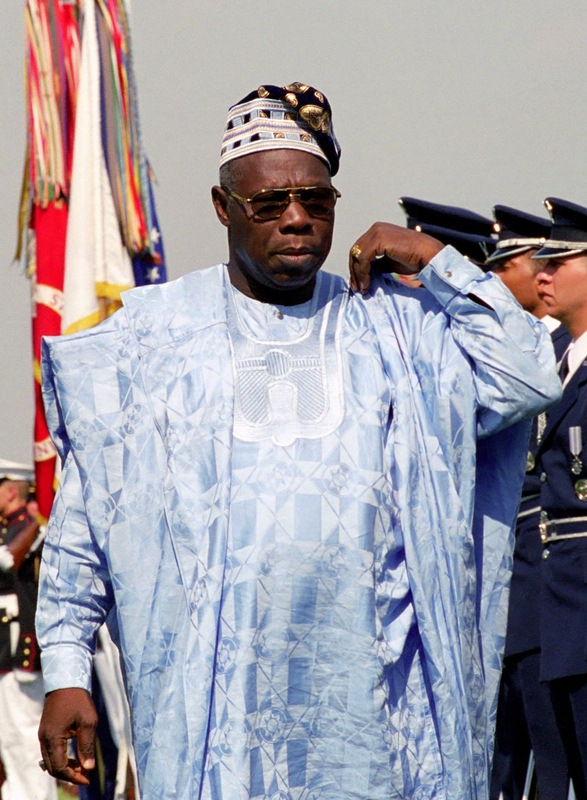 Three, people close to you, if not yourself, have been asking, what does Obasanjo want? Four, I could sense a semblance between the situation that we are gradually getting into and the situation we fell into as a nation during the Abacha era. Five, everything must be done to guard, protect and defend our fledgling democracy, nourish it and prevent bloodshed. Six, we must move away from advertently or inadvertently dividing the country along weak seams of North-South and Christian-Moslem. Seven, nothing should be done to allow the country to degenerate into economic dormancy, stagnation or retrogression. Eight, some of our international friends and development partners are genuinely worried about signs and signals that are coming out of Nigeria. Nine, Nigeria should be in a position to take advantage of the present favourable international interest to invest in Africa – an opportunity that will not be open for too long. Ten, I am concerned about your legacy and your climb-down which you alone can best be the manager of, whenever you so decide. Mr. President, you have on a number of occasions acknowledged the role God enabled me to play in your ascension to power. You put me third after God and your parents among those that have impacted most on your life. I have always retorted that God only put you where you are and those that could be regarded as having played a role were only instruments of God to achieve God’s purpose in your life. For me, I believe that politically, it was in the best interest of Nigeria that you, a Nigerian from minority group in the South could rise to the highest pinnacle of political leadership. If Obasanjo could get there, Yar’Adua could get there and Jonathan can get there, any Nigerian can. It is now not a matter of the turn of any section or geographical area but the best interest of Nigeria and all Nigerians. It has been proved that no group – ethnic, linguistic, religious or geographical location – has monopoly of materials for leadership of our country. And no group solely by itself can crown any of its members the Nigerian CEO. It is good for Nigeria. I have also always told you that God has graciously been kind, generous, merciful and compassionate to me and He has done more than I could have ever hoped for. I want nothing from you personally except that you should run the affairs of Nigeria not only to make Nigeria good, but to make Nigeria great for which I have always pleaded with you and I will always do so. And it is yet to be done for most Nigerians to see. may not tell you what you will want to hear, it will be well. The five positions which you share with nobody except with God and which place great and grave responsibility on you are leadership of the ruling party, headship of the Federal Government or national government, Commander-in-Chief of the Military, Chief Security Officer of the nation, and the political leader of the country. Those positions go with being the President of our country and while depending on your disposition you can delegate or devolve responsibility, but the buck must stop on your table whether you like it or not. almost used up to six years and you would not need any more term or time. said “my country is the world”; for me, my country I hold dear. of burden of leadership. A leader must lead, no matter whose ox is gored. has taken the first good step. respect you for upholding these attributes and for dignifying that Office. be compromised.” It is a lesson for all leaders including you and me. also say as I have had occasions to say in the past, good luck to Goodluck. the dispute of the PDP Governors. I kept you fully briefed at every stage. only hope that you made efforts to deal with these unpleasant reactions. division and destruction of the Party on any altar whatsoever. move to the centre and carry ALL along. Time is running out. international terrorism are among factors that have effect on Boko Haram. to help carry the can. Egypt must teach some lesson. lesson. Let us continue to watch. corruption, whatever you do will be hollow. It will be a laughing matter. while the sun shines. I hope we can still save OK and Brass LNG projects. and bidding His time to dispense justice. with this allegation transparently and let the truth be known. commentaries on government actions and policies are sinew of democracy. dignity, oath and professionalism of these honourable and patriotic forces. nation. Again, let not history repeat itself here. and not those who arrogate to themselves eternal for ephemeral. will be bad for the region. to your life, I will point it out to you or ward it off as I have done in the past. be my zonal leader. It destroys what PDP stands for from its inception. wealthy politician’s association with drug trafficking is hardly disabling. Federal Court in Lagos determined that Kashamu should be extradited to the US. integrity must step aside to rethink. progress of the family and the nation and nothing else. and respect you as such. made of such or the opposite. lesson of history and please do not take Nigeria and Nigerians for granted. know that individuals will come and go but the Office will remain. always life after a decent descent. extended as time goes on.